The first concert of the Spotlight Chamber Music Series will open with Shostakovich’s Two Pieces for String Quartet, miniatures which the composer penned in a single night. The Elegy movement is a transcription of an aria from Shostakovich’s own opera Lady Macbeth of the Mtsensk District and the Polka is also an arrangement, taken from Shostakovich’s ballet The Golden Age. Sam Perkin’s brand new String Trio “Flow” will follow, a commission of the Spotlight Chamber Music Series, and the programme will conclude with Mozart’s extraordinary D Major String Quintet. Composed in the same year as some of his most beloved works – the Clarinet Concerto, the Requiem and The Magic Flute – this quintet, with its conversational, argumentative and profoundly expressive writing, offers no hint of a Mozart in the final months of his life. 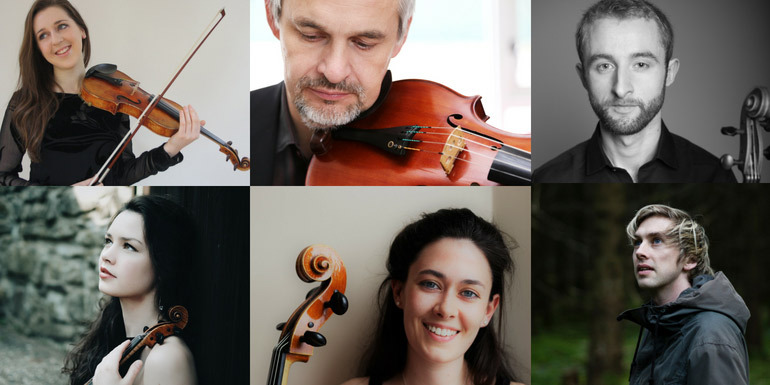 Following the success of its inaugural season last year, the Spotlight Chamber Music Series returns to Triskel Arts Centre this Autumn/Winter, comprised of four Saturday lunchtime concerts in September, October, January and February. Funded by the Arts Council and supported by Triskel, the series is based on the principle of bringing together some of Ireland’s most distinguished musicians to play with one another in small ensembles. These concerts showcase a wide range of repertoire and a variety of instrumental formations. The featured composer of the Spotlight Chamber Music Series 2018 is Cork native Sam Perkin, whose works will be performed in all four concerts, the first of which will see the world première of his String Trio “Flow”.